When a good friend is in town, it’s only right you make drinks. One of my best friends Sandra came to town last week and the fact that it was a Wednesday did not stop us from indulging in a nice cocktail. I’ve never posted a cocktail on this blog so this is an exciting first. I used to stray away from mojitos. I’m not a huge fan of mint in my food but I can deal with it in my drink. We used some homegrown mint from her parents house which made it that much better. As much as I love my wine, it was nice to change it up. I was never a hard liquor drinker so I almost always stick to some kind of a mixed drink. Shots on special occasions only (like a Wednesday). Now I can’t lie to you guys. I didn’t actually make the first drink by myself. Sandra’s brother is a bartender and way better at drinks than I am so he walked me through it. 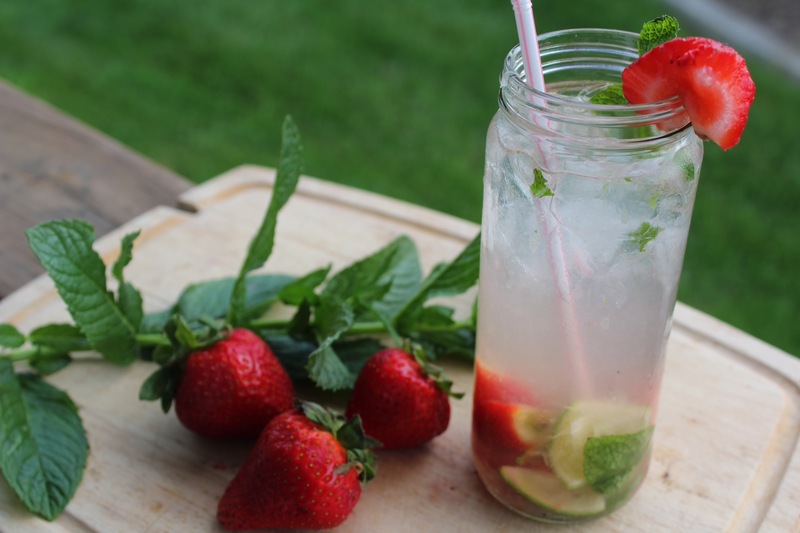 I’m usually not a rum drinker but once you add the club soda and fresh fruit, it really kills the harsh flavor. That could be a good and bad thing. Split mixture evenly amongst 2 glasses. Add ice and 2 ounces each of rum. 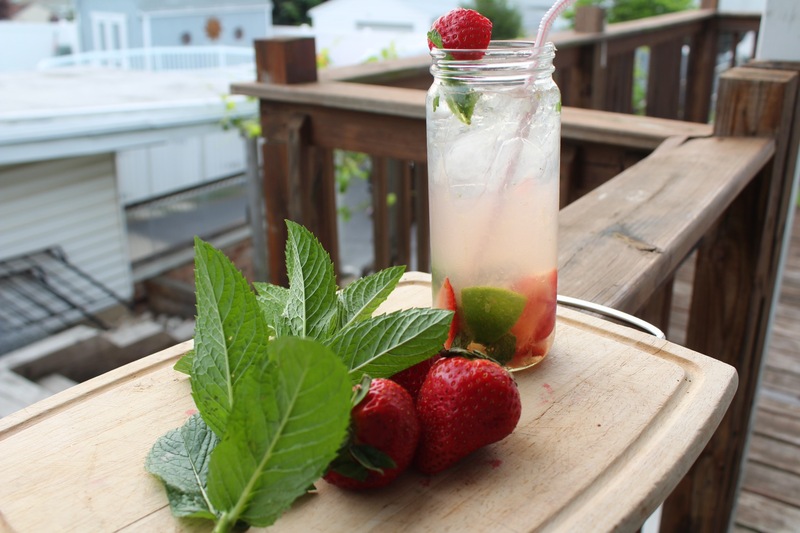 Top with club soda and garnish with berries and lime.